My nephew’s 1st birthday party was last weekend and it a Mexican fiesta since he was born on Cinco de Mayo (May 5th for those that flunked high school Spanish). 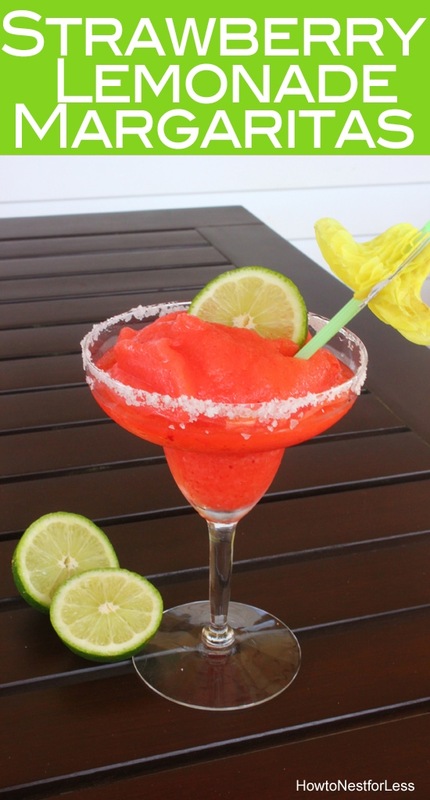 For the occasion I whipped up a batch of Strawberry Lemonade Frozen Margaritas and thought I would share the recipe with you cause they’re oh-so-addicting. Place crushed ice cubes in blender. 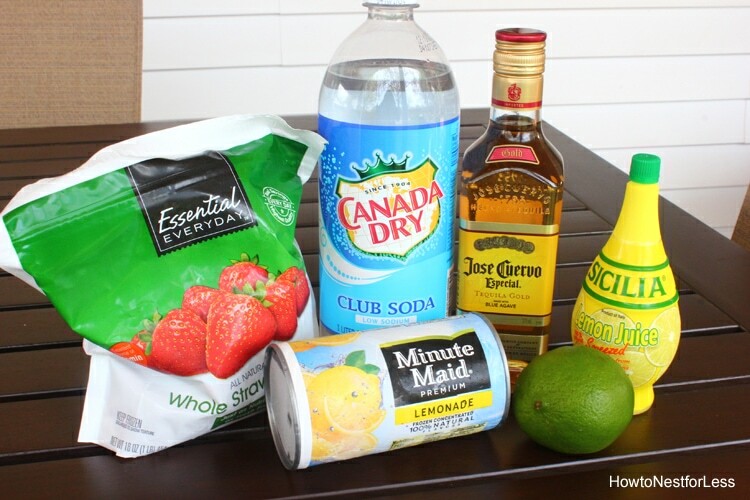 Add strawberries, club soda, lemonade mix, 1 tablespoon lemon juice, and tequila and blend until thickly mixed together. 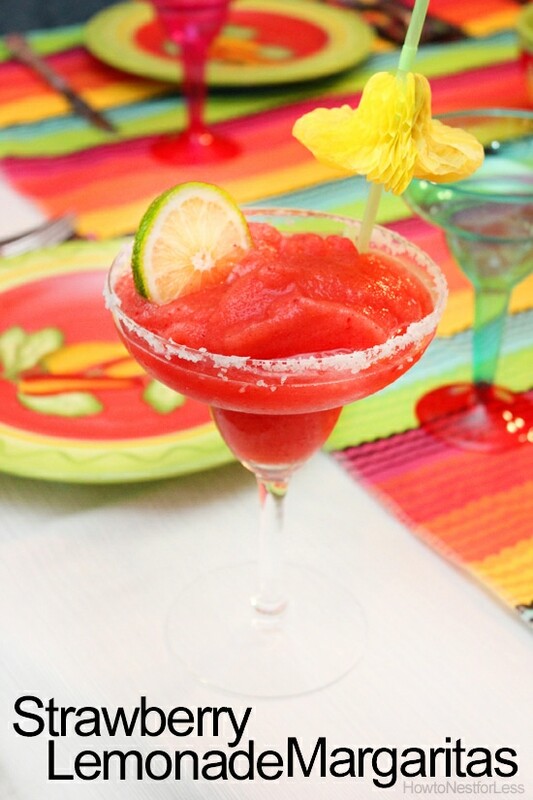 Dip the rims of your margarita glasses in water or lemon juice, then the margarita salt. Pour margaritas into salted glass and serve. OK, now this gives you plenty of time to practice the recipe before Cinco de Mayo. You might want to make one batch a night to really get it down. You can thank me later. It looks super delicious! I am a huge fan of frozen margaritas! I just have one small question, why do you not use freshly squeezed lemon juice? These look amazing! I can’t wait to try them!! Thanks for sharing the recipe! These look amazing! If I wanted to make them virgin, would I sub something for the tequila or just leave it out?